Betty J. Santohigashi is a special counsel in the Business Trial Practice Group in the firm’s San Diego (Del Mar) office. In 2005, she founded the E-Discovery Team firm wide. Ms. Santohigashi has represented plaintiffs and defendants in a wide range of business litigation matters in federal and state court, including contract disputes, unfair competition, fraud and other business torts, trademark infringement, commercial code litigation, and class actions. Her clients have included such well known companies as Northwestern Bell Phones, Lucent Technologies, U.S. West, Newcourt, C.I.T., Beneficial Mortgage, Dell Financial Services, Nextel, and AT&T Capital Corporation. Ms. Santohigashi has over 19 years experience in Sheppard Mullin's Business Trial Practice Group in the areas of construction, real estate, intellectual property, professional liability, class action (plaintiff and defense), telecommunications and accounting. She has also been very involved in San Diego's legal community. 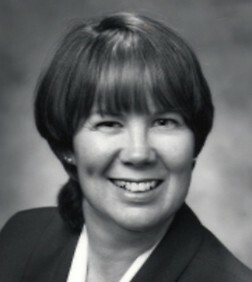 She has been an active member of Lawyers Club since 1988 and was on the Board of Directors of Lawyers Club for three years. She was a Co-Chair of the Women's Resource Fair Task Force for three years and has been actively involved on Task Force committees for over twelve years. She has also served on the Board of Directors of the National Conference of Women's Bar Associations.